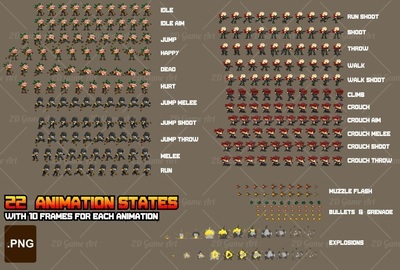 - 22 animation states. 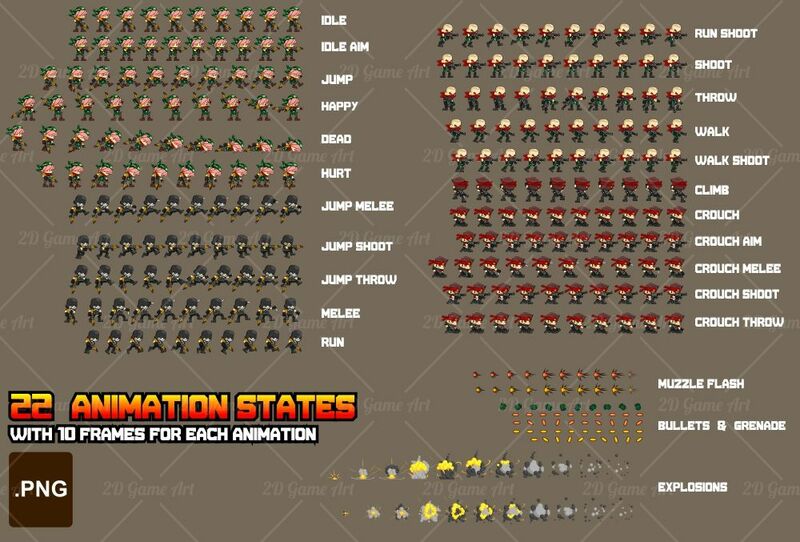 Each with 10 frames. 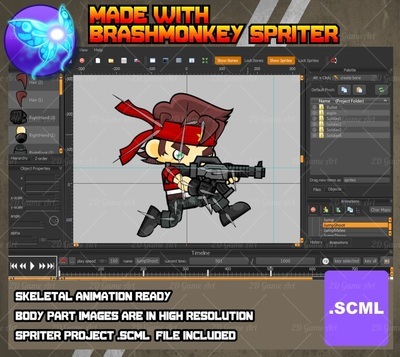 - Spriter Project .SCML file included, along with the body parts images in .PNG format. 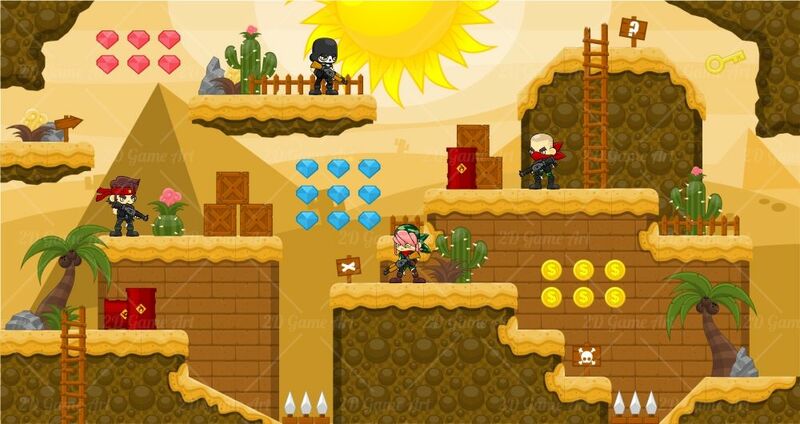 The image is in pretty high resolutions. 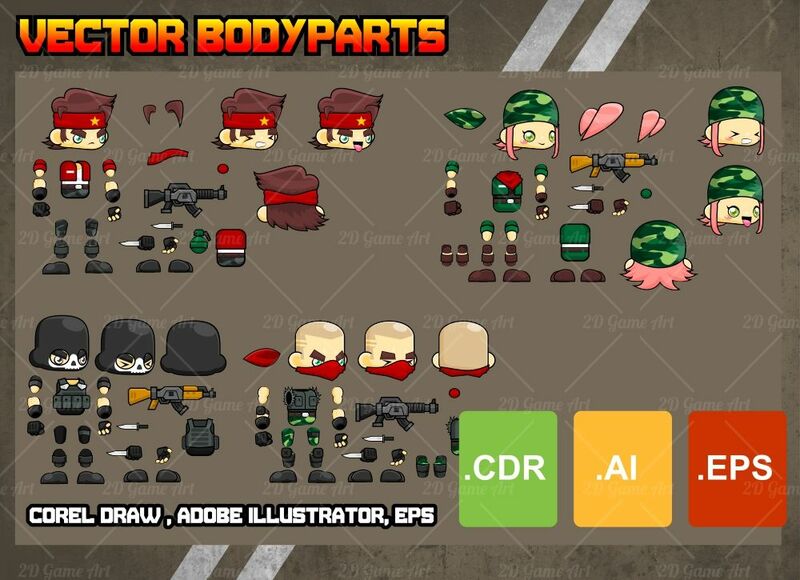 - The body parts made with CorelDraw. Adobe Illustrator .AI and .EPS files also included.